I wish I could simply tell you that my previous advise applies. Unfortunately, most of it doesn't. 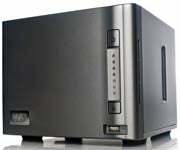 Your best bet is probably to call the manufacturers of your NAS and see what they recommend. Because Windows doesn't do the deleting, the file won't show up in Windows' recycle bin. It's possible that the NAS operating system has its own recycle bin (perhaps with a different name), but you can't access it through the familiar desktop icon. Check your NAS drive's manual to find out if they offer something like this and how to access it. Nor can Windows-based file recovery programs like Recuva Portable and File-Rescue Plus work over a network. They need to run directly on the OS that's controlling the hard drive, which must be formatted with a file system they understand. Will it help to remove the drive from the container and attach it directly to your PC? Probably not. 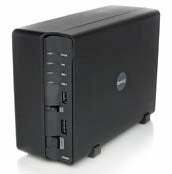 Most NAS systems use Linux, and don't use the Windows-friendly file systems FAT or NTFS. You stand a better chance of success attaching one to a Linux machine and running Linux file recovery software, but that may not work, either. Not all NAS systems use the standard Linux File System. Finally, two pieces of advice I gave in the earlier article still apply. If you have a good, recent backup, you can restore the files from that. And if you don't have a good backup, the NAS manual and tech support don't help, and your data is worth spending a lot of money, you can use a data recovery service like Ontrack or DriveSavers. Just make sure they know what type of NAS system contained these drives and whether they were part of a RAID.